3. Mobile Advertising Solution for Sensor Industry: How to reach 80,000+ addressable mobile audiences ? Mobile Advertising Solution for Sensor Industry: How to Reach 80,000+ Addressable Mobile Audiences ? Sensors Web Portal, Inc. together with Le Sensor, Corp. (USA) propose an industry first Smartphone mobile advertising solution (Self-Serve Advertising Network) for sensors manufacturers and distributors to reach 80,000+ addressable mobile audiences. This Smartphone application, Sensor and Electrical Toolkit, will carry your product and your brand directly to your customer, offering you sophisticated targeting capabilities with low-cost customer acquisition. However, what has been lacking is an effective method for sensor companies to deliver targeted advertising campaigns on the medium. Various mobile ad exchanges do not provide a viable solution for sensor companies, since the target demographic on these platforms is often ill defined. Through its app, Sensor and Electrical Toolkit, Le Sensor has already established a focused and global user base; over 80,000 users including engineers and decision makers, are currently using Sensor & Electrical Toolkit to solve complex sensor related equations and creating real time discussions. Create discussions around sensors and sensor-related engineering problems. GBI Research’s new report, “Sensors Market to 2020 - Rising Need for Intelligent Sensors in Automotive and Consumer Electronics to Increase Demand”, provides the key information and analysis on the market opportunities in semiconductor sensors industry. 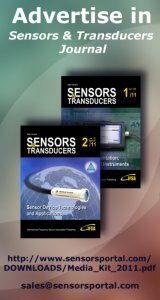 The report covers the latest information on the revenue of the major semiconductor sensors such as pressure, temperature, magnetic, accelerometers, gyroscopes, si microphones and image sensors. The report covers the key market trends for a wide range of sensor applications that include computing, communication, consumer electronics, automotive and industrial sectors by product type. It also provides an analysis on the basis of geography. The rising demand of consumer electronic devices such as mobile phones, media players, cameras and gaming devices is expected to increase the demand for sensors. Safety related mandates in countries like US and Europe are expected to rapidly drive the growth of automotive sensors. Government legislation in these countries makes it compulsory to implement Electronic Stability Systems (ESC) and Tire Pressure Monitoring Systems (TPMS) in vehicles leading to increased demand for gyroscopes, accelerometers, magnetic and pressure sensors. This report is built using data and information sourced from proprietary databases, primary and secondary research and in-house analysis by GBI Research’s team of industry experts. Click <here> for more details. GIA announces the release of a comprehensive global report on Smart Sensors market. World Smart Sensors market is forecast to reach US$6.0 billion by the year 2015. Technological refinements in terms of improved efficiency and performance will re-emerge to drive growth in the marketplace stimulating world market for smart sensors in the post recession period. Sensors are primary elements for most technology products built today. Sensors' application areas span simple switches and temperature sensing devices as a part of the most basic of home appliances to sophisticated sensors in advanced manufacturing equipment and factory automation systems. The advent of micro-technology has revolutionized the electronics industry so much so that miniaturization has now become a cue word across the globe. Further, the role played by the micro-technology is enormous and sensors, as an offshoot of this know-how, are used in most of the industrial electronic applications. Smart sensors have the digital capability and at the same time perform additional functions such as signal processing, self-diagnosing or integral fault detection. Presently, smart sensors are having significant presence in only few select applications. However, recent advancements in sensing technologies and supporting technologies such as MEMS and bluetooth, and growing acceptance of IEEE interface standards, are creating new applications for smart sensors and are allowing them to penetrate further into existing applications. The year 2009 was especially challenging for telecommunications, automotive, petrochemical and industrial process industries, due to which growth in smart sensors market was marginally affected. The sharp downturn in the global economy, uncertainty over the development of end-markets, inventory levels, and pricing pressures affected the overall business environment. Weakening momentum in most industrialized economies and the volatility of the end-user industry, and tight credit conditions temporarily dislodged growth in the market. Segment-wise, the economic downturn has presented significant challenges to smart position sensor market in the years 2008 and 2009. Global market for Smart Position Sensors is expected to grow at a CAGR of 2.0% during the analysis period. With recession at its tail end, a quick resurgence in growth fundamentals such as softening of interest rates, improvement in infrastructure spends, increased investments on product developments, and recovery in key end-use markets is expected to drive steady gains for smart sensors market in the post recession period. As stated by the new market research report on smart sensors, Europe and the US, together account for a major share of the global market. While the US and Europe are the largest markets for smart sensors globally, growth in future will be driven by expanding Indian and Chinese economies. Growth fundamentals such as, GDP growth, and rising sanitary and safety concerns in wastewater and water management, pharmaceuticals, beverages, food handling and packaging sector are all forecast to swing back into action. Post recession, vehicle manufacturers will continue to make use of advanced electronic elements to deliver higher safety, greater fuel-economy and eco-friendly solutions, thereby creating a need for increased sensor volumes for use in each vehicle. While ESC mandates are likely to fuel the demand for high-pressure sensors, accelerometers and gyroscopes, the TPMS mandates are expected to increase the shipments of MEMS pressure sensor equipment. Market for Smart Pressure Sensors in Asia-Pacific is expected to grow at a CAGR of 6.9% during the analysis period. Demand for sensors will also grow in line with electronics demand. The year 2009 was especially challenging for telecommunications, automotive, petrochemical and industrial process industries, due to which growth in smart sensors market was marginally affected. The sharp downturn in the global economy, uncertainty over the development of end-markets, inventory levels, and pricing pressures affected the overall business environment. Weakening momentum in most industrialized economies and the volatility of the end-user industry, and tight credit conditions temporarily dislodged growth in the market. Segment-wise, the economic downturn has presented significant challenges to smart position sensor market in the years 2008 and 2009. Global market for Smart Position Sensors is expected to grow at a CAGR of 2.0 % during the analysis period. 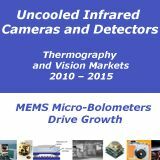 Major players in the marketplace include ABB, Analog Devices, Custom Sensors & Technologies (CST), Delphi Automotive Systems, Eaton Corp., Emerson Process Management, Honeywell, Infineon Technologies AG, Invensys PLC, Motorola, Oceana Sensor Technologies, Omron, Raytek, Robert Bosch Corp, Siemens AG, Vishay Intertechnology, Wilcoxon Research Inc., Yokogawa, among others. The research report titled “Smart Sensors: A Global Strategic Business Report” announced by Global Industry Analysts, Inc., provides a comprehensive review of market trends, issues, drivers, company profiles, mergers, acquisitions and other strategic industry activities. The report provides market estimates and projections (in US$ Million) for major geographic markets including North America, Japan, Europe (France, Germany, Italy, UK, and Rest of Europe), Asia-Pacific, and rest of world. Product segments analyzed include Smart Flow Sensors, Smart Pressure Sensors, Smart Temperature Sensors and Smart Load Cells.